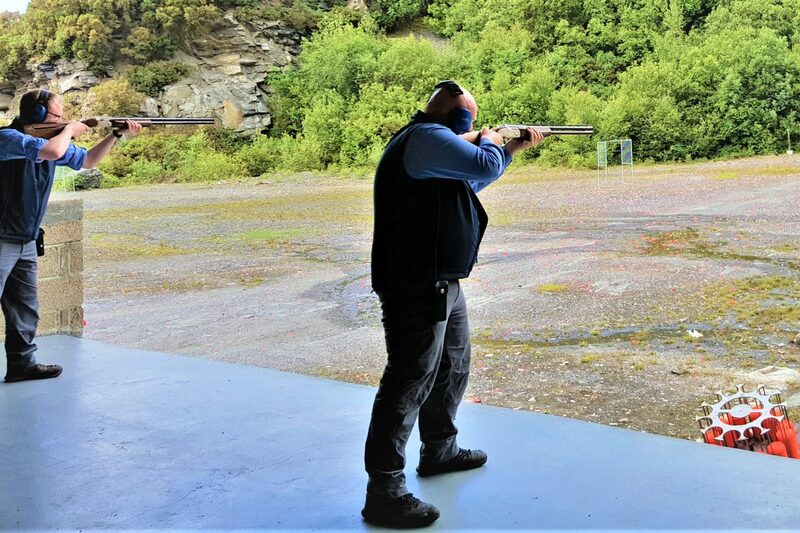 Hunter West offers the casual shooting enthusiast and the complete beginner a fun day with enough challenge to get the adrenalin running but not enough dirt to even get your shoes scuffed! We can also increase the degree of difficulty if any of you more serious shooting folk want to have a go. We have staff trained and qualified in first aid, protection of children and vulnerable adults plus the shooting disciplines we offer. Our philosophy is simple boys and girls. “Get off your couch and shoot some real guns and bows” and forget about the computer virtual reality types. Hunter West is reality and the targets are real (good fun) . We have everything from bouncing rabbit clays to 10 green beer bottles and 3-D wild animal life-size models. We are adding to these as our imagination leads us and if you want to suggest some quirky targets of your own we will try to incorporate them within what is allowed and provided they are in the best possible taste! We have a base at the clay pigeon range at “Peadar Joe’s Farm” near An Cregan which lies sort of midway between Cookstown and Omagh on the A505 but we do not offer regular shoots here as we are constantly on the move. Our clients range from corporations and firms wishing to offer staff a challenge or reward, through outdoor activity and conference providers adding a bit of new talent to their own offers, to the growing youth market wherein schools, voluntary NGOs and community/club sports bodies are seeking something different to challenge their young folk. And “We come to you”, any where, any time and we positively guarantee you will enjoy the experience (with all those weapons who’s going to argue with us anyway!? ).